Standards of the Guqin 2nd edition: Relaunch on August 10! 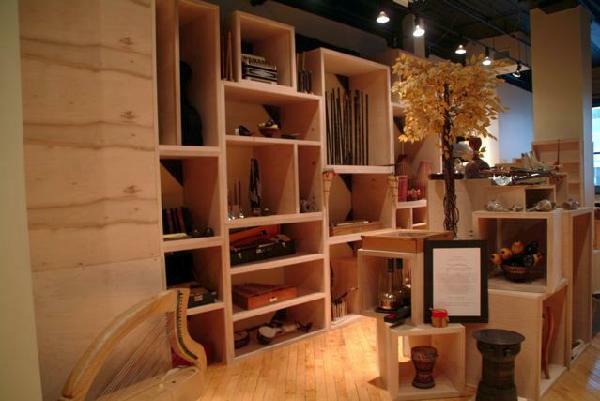 Musideum: A World of Musical Instruments features Standards of the Guqin on its shelves! Come for an intimate evening of transcendent music and talk on the guqin, the Chinese 7-stringed zither, hosted by Musideum and Juni Yeung of the Toronto Guqin Society, as “Standards of the Guqin”, the first and only (to-date) English instruction book on the instrument, is relaunching into its second and expanded edition! 2 years and over 30 new pages later, the book features clear digital-type tablature for all sheet music, as well as a new section on tablature interpretation process, known as dapu. 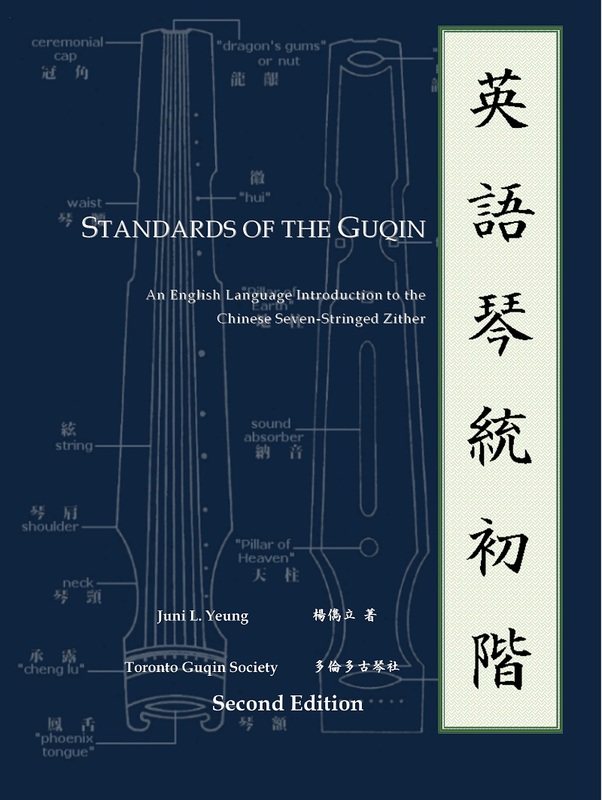 Standards of the Guqin Second Edition now out in stores! Go get your copy today! Please RSVP with Donald Quan for tickets and/or preorder of the book, at (416) 599-7323 or info@musideum.com. while the book is sold for CAD$45, along with a personalized dedication autograph by the author on the site. Standards of the Guqin to see Second Edition! 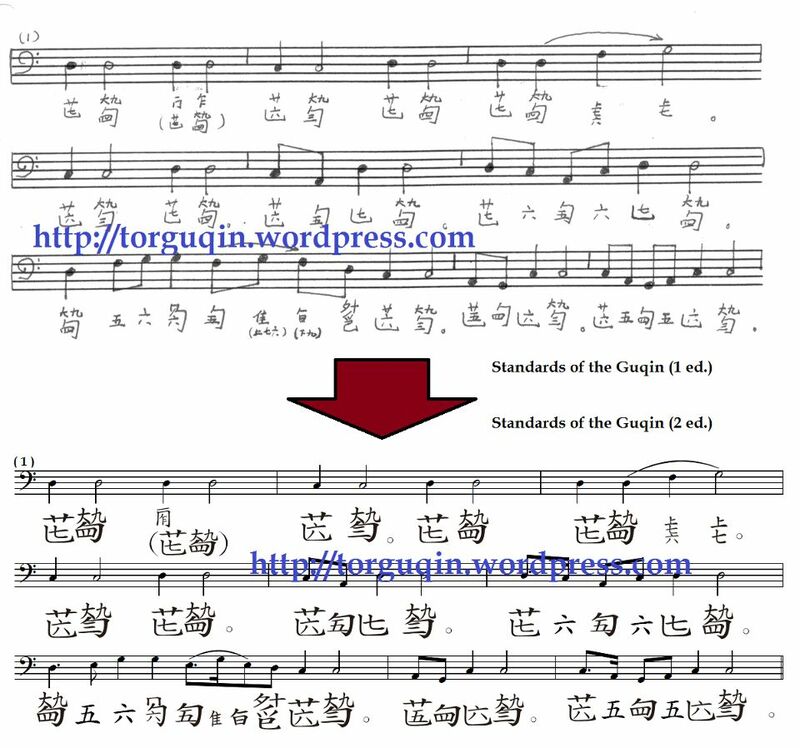 Standards of the Guqin score “Xianweng Cao” Section 1, as seen in the First edition and the upcoming Second edition. 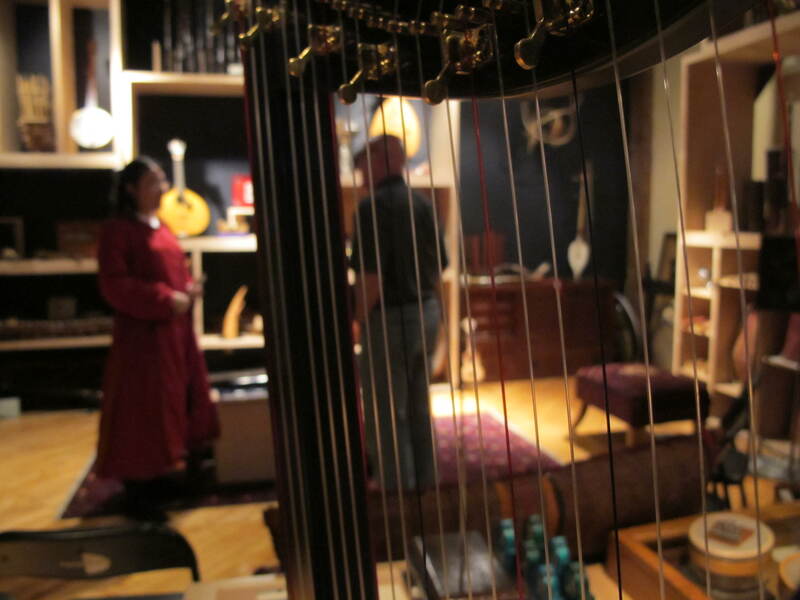 Standards of the Guqin will be publishing an expanded Second Edition within the month on Lulu.com. Many previous errors, minor and major, have been corrected, as well as additional essays and expanded technical details on various matters from how to calculate the positions of the hui markers to tying the fly knot more effectively. Most importantly, however, is the expansion of 6 new lessons and an entirely new chapter of the book, as well as a total update on all the music scores in the book into a digitally-printed from the previous handwritten scans! A look at the image to the right and you will see that the improvement is a dramatic one. The only thing that will not change, is the retail price. With nearly 40 pages of new content, Standards of the Guqin Second Edition will be available on Lulu.com at US$30.00. Please stay tuned for the book launch information, and the related launch event in Toronto when it’s out! Addendum: For those who are looking for lessons, please read the curriculum prior to contacting the instructor. Original Source of Fuqin Jue from Xilutang Qintong, Folio IV. When playing the qin, regardless of whether there are people nearby, one must play as if facing your elders. Placing the qin to the front of you, the body must be upright, your energies and spirits at peace and settled. Collect your heart and cut off all worries, focus on your emotions and intentions. Fingers do not give false strikes, and strings do not give false rings. One does not look at the right hand, but only listen to its sounds. The eyes do not look elsewhere, nor the ears listen to anything else. Use of fingers must include both flesh and nail, in order to give a crisp sound. Too much nail and the sound is scorched. Too much flesh and the tone is convoluted. Both left and right hands cannot over-exaggerate. 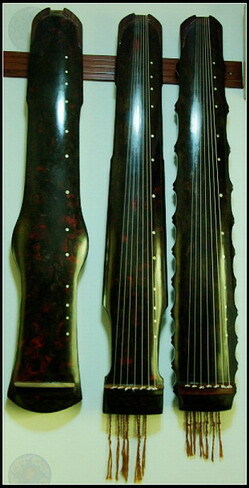 There are three types of sound on the qin: First is san (open), second is an (pressed), third is fan (harmonics). Each pluck is like breaking the strings but the fingers pluck shallowly. Pressing the strings into the wood are to be firm but strength cannot be seen. Fan sounds are to be played near the bridge, lightly touching the string where the hui marker is with a brief point [of the fingertip], and its sound shall be clear and rounded. If the body wavers and the neck twists often, pandering left and right, looking up and down, or if the facial expressions change, it is as if one is ashamed. Or, if one’s eyesight scurries about, panting in with heavy breath, without regulation in advances and retreats, with a lax spirit or form, it will reflect itself in form of sound. Although the fingerings are right, the resonances of the sound will be messy and it cannot conform to the Five [proper] Sounds. Not tuning the strings properly, playing heavily when it should be played lightly, or playing quick when it should be slow – all of these are major diseases [faults] to playing. The rule of playing the qin, is to be simple and clean. It is not in asking for one as a person to be calm, but in one’s hands. The throbbing of the fingers is called being raucous, while being concise, lightly-treading on a steady pace is called being calm. It is unnecessary to wobble the [left] finger outside of the sound. Let the proper sound be harmonious and smooth, and that will be good. For the Junzi [Superior Person] of antiquity creates [regulates] to the causes of matters, he attenuates himself to pleasuring the mind, or describes his heart with irony, or expresses his lone resentment to transmit his ambitions. Hence it [i.e. the music] is able to focus the essence of sincerity, and move the spirits and gods. One may only know three or five etudes, but refine it to the limits of excellence. However students of our day, perceive ability by sheer quantity. Hence the idiom “Sheer quantity leads to lack of quality. Quality leads to less quantity.” May the Junzi who understands true sound [i.e. friends] pay attention to this. Here we have the rules of playing qin. What is difficult to procure are the scores to the music, for they must be requested to be passed down from the masters. Furthermore, fingerings and rhythm cannot be exhaustively detailed in the work of writing, so when facing a manuscript to play, we often only get its sound, but its profound intricacies in tempo and rhythm are forgone. This is like having rough measuring tools – you have the drawn shapes, but it lacks the precision that fine tools give. In more prosaic terms, any given piece can be roughly divided into three sections: First slow, then tense, and finally slack. From slow to tense to stop forms the motif to a piece of music. Often times there are indications of “do two times from mark.” (從勾二作) Play through it plainly the first time, to finish off the motif from the last sentence. Pause, and in the second play-through, play it strongly. From playing strong and then easing gradually and finishing with a powerful strike-in, forms the continuation to the sounds afterward. One must make the front and back relate with each other, clearly differentiating the beginning from the end. Another example is the “Perform three times with spaced gou.” (三作間勾, i.e. Da-jiangou) First play the two sounds, pause, then respond to the previous section with four sounds, and finish off with one powerful strike-in. A nine-tone long chain (chang-suo, ) involves playing two sounds, pause, and finish off with seven strong notes. This induces rise and fall at the front and back, connecting the motifs by arteries and veins, leaving its resonance drifting as if fading but still slowly progressing, and then a jolt at the end. From slow to tense, and from tense to leisurely, if control of fastness and slowness is appropriate, and yin [vibratos] and stops do not lose their degree, then naturally the strings will resonate with clear rings. Sounds should preferably be clear, aim for simple and calm, and must not be messy. This is how an elegant, antiquated motif of profound emptiness is. And this is why the intricacies are so hard to attain for manuscripts then and now. So for those self-studying the qin, and have yet to receive transmission from a master, it is best to focus your mind and dedication and ponder on these words. Follow the fingerings according to the manuscript to the hands, meticulously and slowly, accumulate one sound onto the next, section unto section. After days and months of practice, the heart and intention will connect, and the hands will automatically do its job. Then, you will naturally attain mastery as the ancients have. Visit TorGuqin Booth @ Small Press Book Fair on June 19! 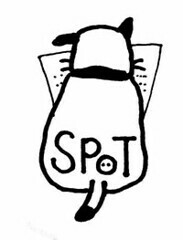 Toronto Guqin Society will be connecting with small publishers, musicians, and the public on June 19, 2011 @ 11AM-5PM, in Hart House (University of Toronto) with many other diverse writers and publishers in the Small Press of Toronto Spring Book Fair! 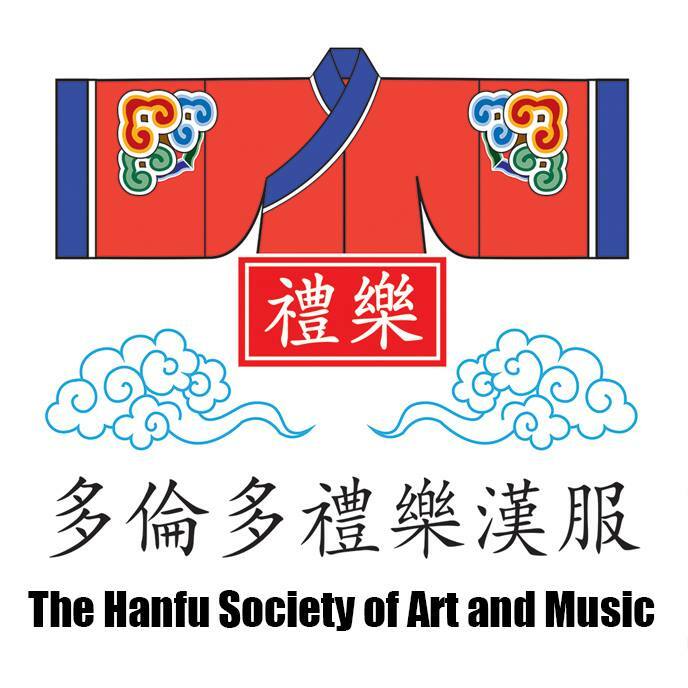 Come in to have a chat with us, listen to some music, and learn more about the activities we do, as well as peruse our publications and discography — the sale of the Standards of the Guqin (book) will be limited, so please leave a reply here to show that you may be interested, so we will stock more! Our showpieces for sale that day will mainly consist of our two upcoming CD albums, Standards of the Guqin (Audio CD), and Long Yin -Dragon Murmurs- by Yan’an Zhu. Small Press of Toronto Spring Book Fair! TorGuqin members’ CDs will be on sale! ‘Standards’ Book Launch: Sept.30 @ Musideum! Juni L. Yeung will launch her new book, Standards of the Guqin, at Musideum on September 30, with a performance on Guqin and a reading of excerpts from her new book. Date/time: Sept 30 (Thurs), 7PM. Books purchased in advance for this event will be autographed by the author.